Rosebery, Sydney during Feb 2019. At Autumn art camp you will spend the weekend amongst the towering red gums of the Thule Lagoon. The focus of the sessions will be landscape. I will lead two days developing drawing and observation skills and using these works to create a more finished piece. For those who have attended classes previously, you can choose to use day two in the print room, editioning previously prepared plates. This camp is suitable for beginners to advanced. Accommodation for Fri and Sat night - your choice of a bed in the studio cottage OR camping under the stars, in a canvas swag or tent (which we will provide for you). There are 4 places available each for the camping or cottage option, you choose! The weekend will be fully catered for, featuring fruit and veg from the farmhouse garden and other local goodies. There will be provisions for a self serve breakfast and lunch in the studio. Morning and afternoon tea served in the farmhouse garden or by the Aga in the kitchen (weather depending). The Saturday evening meal will be served under the stars by the lagoon. There will be time before and after class to bushwalk, birdwatch, read or draw and just soak up the environment that is our beautiful farm "Glencoe". With the homestead and out buildings dating from the 1930's set amongst the trees on the banks of the ancient Thule Lagoon (which was once the Murray River), the Art Camp offers a chance to immerse yourself in our life on the farm in the "River Country". ** Please note that most basic drawing and watercolour materials and equipment are available, however for your painting, please bring your own choice of canvas and oil or acrylic paints and brushes. Email Wendy at hello@wendymcdonald.com.au for more details, or to reserve your place. Numbers for this camp will be strictly limited to ensure an intimate learning experience. from 29th June till 24th July. If you are in the vicinity, pop in and say Hi to Brigita. Next camp to be held on the 29th and 30th April, 2017. Presently there are 2 cottage beds and 2 camping places left. Email to hello@wendymcdonald.com.au for booking enquiries. Excited to announce that I am showing in this group exhibition curated by Amber Cresswell Bell, opening at Saint Cloche Gallery in Sydney on the 24th of November 2016. If you are in the vicinity, drop in and say hello! details can be found at www.ambercresswell.com. The next art camp will be held on the 29th and 30th of April 2017 amongst the towering red gums of the Thule Lagoon, which is actually looking splendid after filling last Spring. The focus of the weekend will be Still Life, but those who prefer are very welcome to work out in the Landscape. I will lead two days developing drawing and observation skills and using these works to create a more finished piece. For those who have attended classes previously, you can choose to use day two in the print room, editioning previously prepared plates. This camp is suitable for beginners to advanced. The weekend will be fully catered for, featuring fruit and veg from the farmhouse garden and local Redgum Foodgroup goodies. There will be provisions for a self serve breakfast and lunch in the studio. Morning and afternoon tea served in the farmhouse garden or by the Aga in the kitchen (weather depending). The Saturday evening meal will be served under the stars by the lagoon. There will be time before and after class to kayak, bushwalk, birdwatch, read or draw and just soak up the environment that is our beautiful farm "Glencoe". 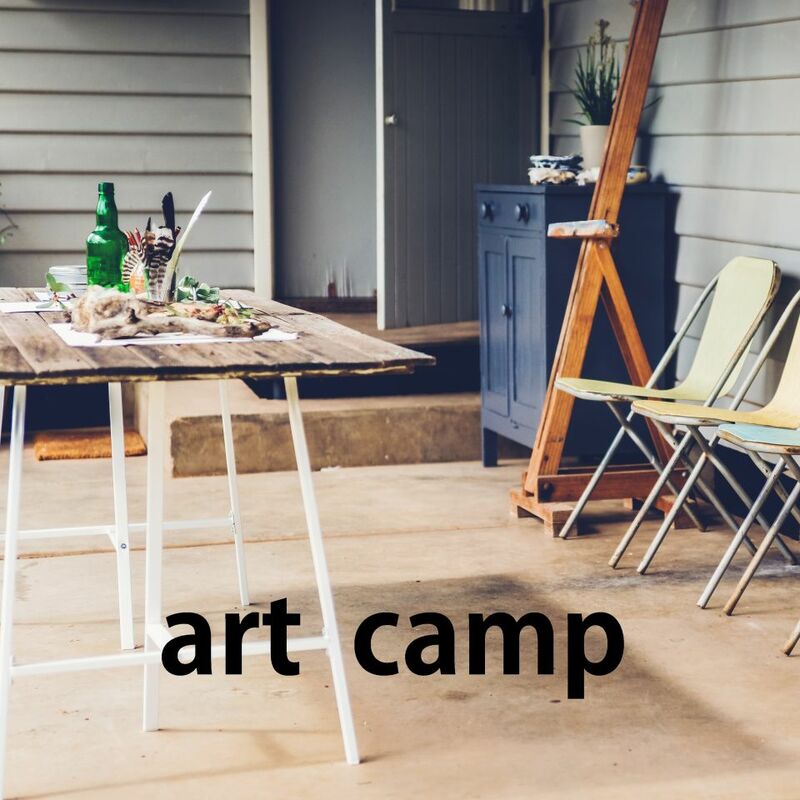 With the homestead and out buildings dating from the 1930's set amongst the trees on the banks of the ancient Thule Lagoon (which was once the Murray River), the Art Camp offers a chance to immerse yourself in our life on the farm in the "River Country". ** Please note that all drawing, watercolour and printmaking materials will be supplied, however for your painting, please bring your own choice of canvas and oil or acrylic paints and brushes. ** For local students wishing to attend but not in need of accommodation, the cost for the two workshop days including morning and afternoon tea and materials will be $200. The day session times will be from 9.30am till 3.30pm. Our WINTER ART CAMP for 2016 will be held on the 18th & 19th June, here amongst the towering red gums of the Thule Lagoon. The focus of the weekend will be Landscape. I will lead two days of working in the landscape, developing drawing and observation skills and using these works to create a more finished piece. For those who have attended classes previously, you can choose to use day two in the print room, editioning previously prepared plates. This camp is suitable for beginners to advanced. I am excited to share that I will be having a solo exhibition at The Swan Hill Regional Art Gallery in April 2016. Called "This Place" it will feature landscape and still life from here on the Thule Lagoon. An official opening will be held on Friday the 8th April from 6 till 8 pm. All welcome. RSVP Swan Hill Art Gallery http://gallery.swanhill.vic.gov.au/ . The show will run from 5th April till 8th May 2016. I am excited at announce the first studio workshop for the 2015 winter/spring season. 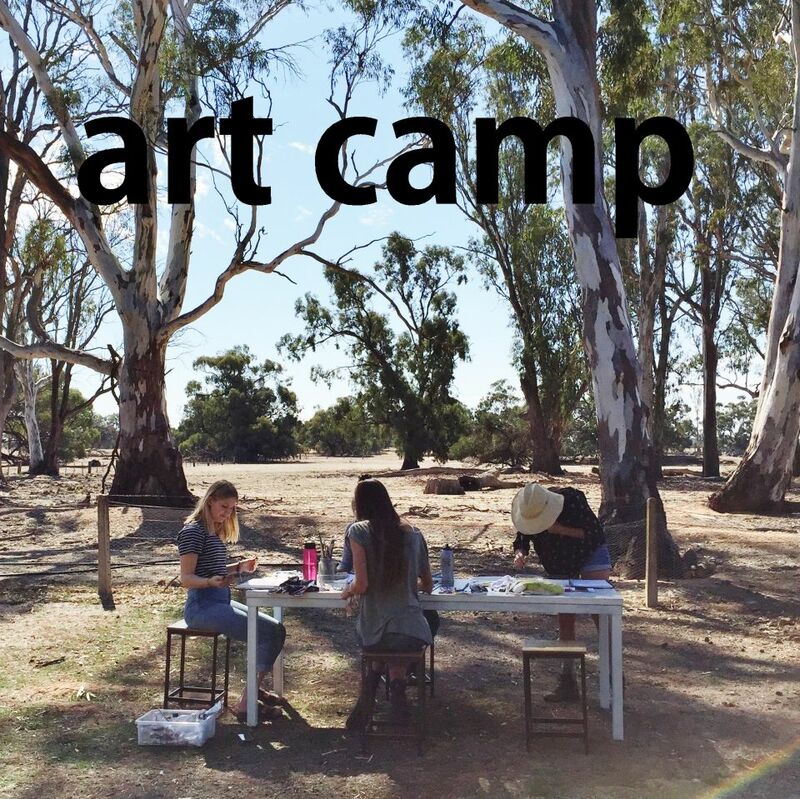 Our first ART CAMP will be held on 13 th & 14th June, here amongst the towering red gums of the Thule Lagoon. I am so thrilled that the exceptionally talented Elizabeth Barnett will lead a day teaching the art of sketchbooking, followed by a day of drypoint etching your images generated the previous day, lead by myself. Elizabeth is a painter and printmaker with a Masters in Illustration. Her work was featured in The Design Files Open House, 2014. You can find out more about Elizabeth at www.elizabethbarnett.com or www.elizabethisdrawing.blogspot.com . You can see studio happenings and peeks of new works now @wendy_s_mcdonald on instagram. Are held at the studio as demand dictates. Feel free to let me know if there is a date that you would like and I will try to schedule a class (groups of 5 upwards). Students are be encouraged to use expressive drawing techniques to create plates and spend the afternoon printing drypoint etchings taken from them. Ages 15 upwards. Suitable beginners/advanced. $95 pp including all materials, morning and afternoon tea. For bookings/enquiries email Wendy at hello@wendymcdonald.com.au. Over the last couple of years, I have been lucky enough to share my studio space with some wonderful photographers and artists, including the amazing photographer/stylist duo Brooke Holm and Marsha Golemac. Here are some of my favourite shots of the studio taken by Brooke and Marsha (top row), with the next two rows featuring images by the very talented Cindy Power.